Every year around this time, I start to get a little antsy for popsicle season. Aside from how easy (and delicious) they are, I honestly don’t know why I love making them so much. But I do! I really do. 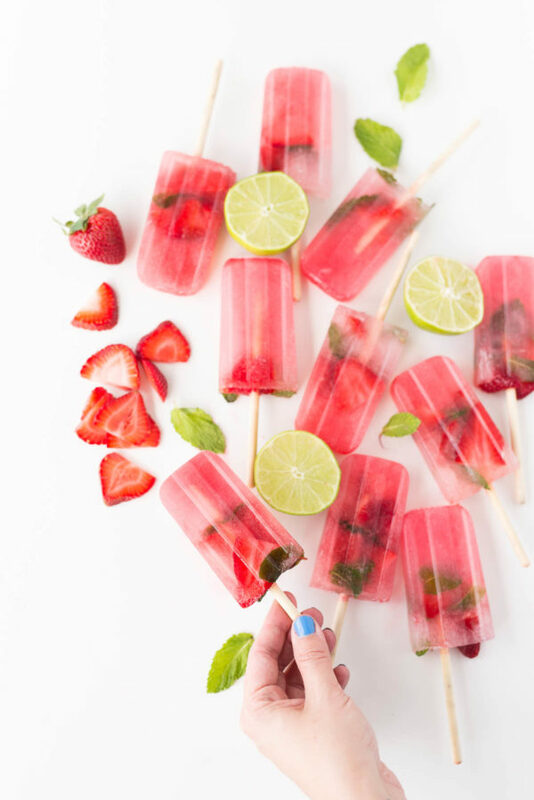 And being as though it’s officially May AND I just got back from a trip that involved a whole lots of cocktails, I figured I’d mix the two and create a quick and easy strawberry mojito popsicle recipe (which can be made with or without booze). *To make it non-alcoholic just switch out the rum for 3/4 cup of blended fresh strawberries (just pop chopped strawberries into a blender and blend until liquified). Combine fresh lime juice, strawberry lemonade, and rum (or the additional cup of blended strawberries if doing a non-alcoholic version) into a pitcher and stir. 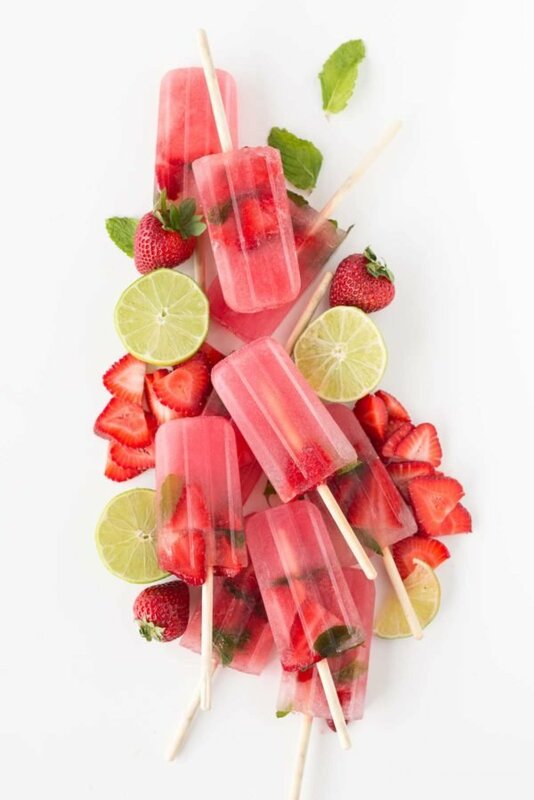 Add slices of fresh strawberries and mint leaves to each popsicle mold. 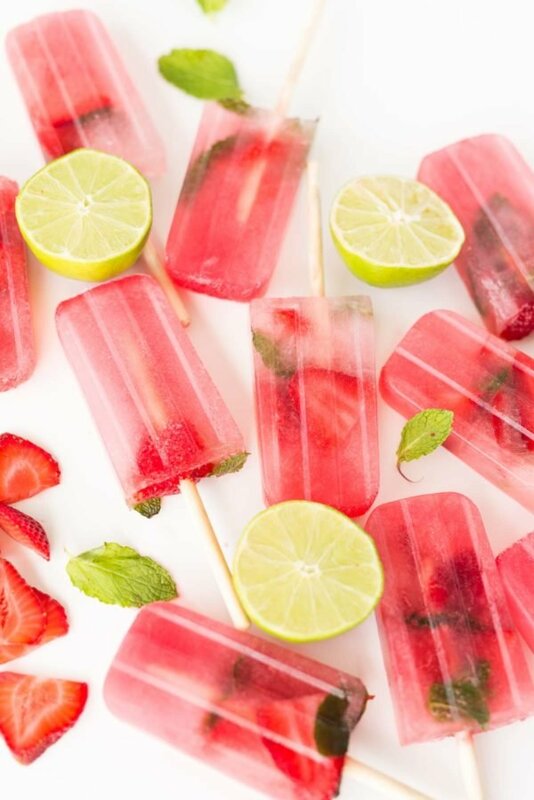 Then pour the mojito mixture into each popsicle mold. As with all popsicle recipes, I’d recommend placing the popsicle mold in the freezer for 45 minutes. Then removing them from freezer briefly, insert popsicle sticks, and place back in the freezer for 4 hours or until frozen. Then, when you’re ready to eat one, grab the tray from the freezer and run warm water over the underside of the tray for 20-30 seconds to remove. Are you a mojito fan? 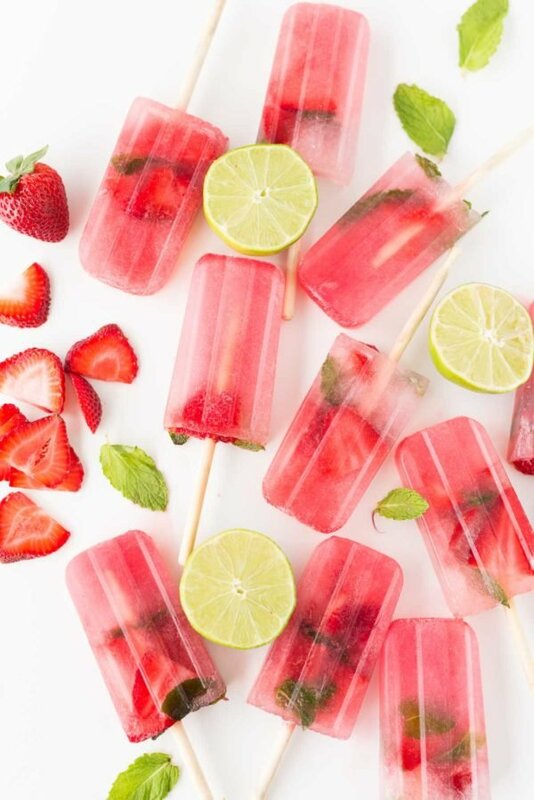 What other kinds of cocktails do you think would be great as popsicles? 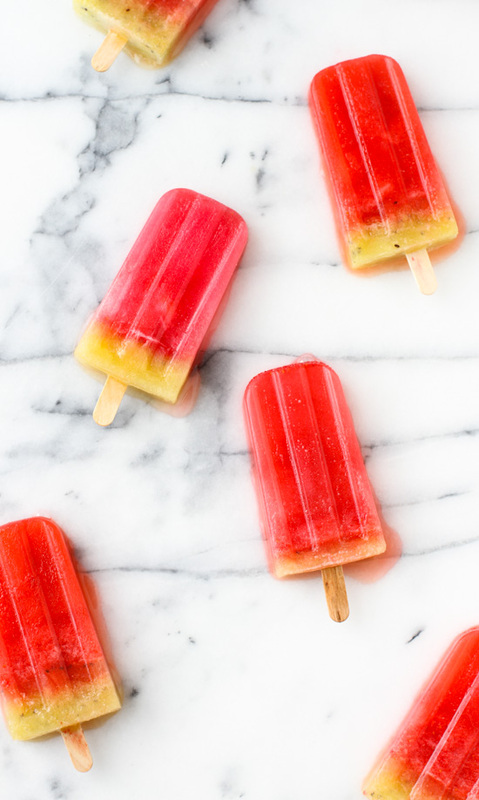 I once made Tequila Sunrise popsicles, but this version sounds super delicious as well! Yum! I bet those are delicious, Michelle. 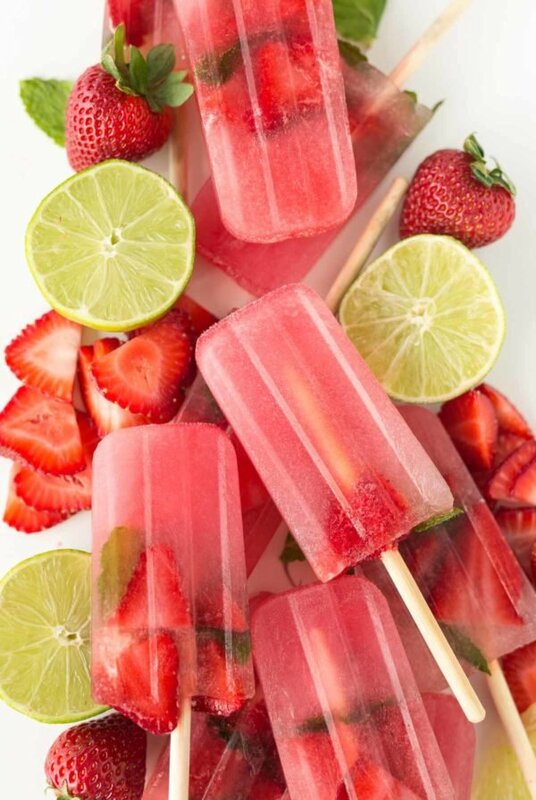 These look amazing – so refreshing and delicious!! Love strawberries and basil. Thanks for sharing the recipe!! Glad you like ’em, Dominique. Is it advised to eat the entire batch? ?? So yummy!! LOL. 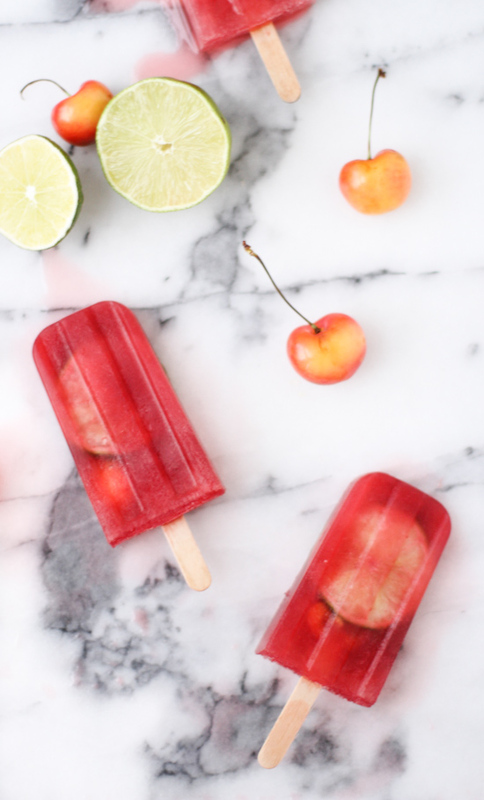 A girl can dream … in popsicles. ?? YUM! Those look wonderful. 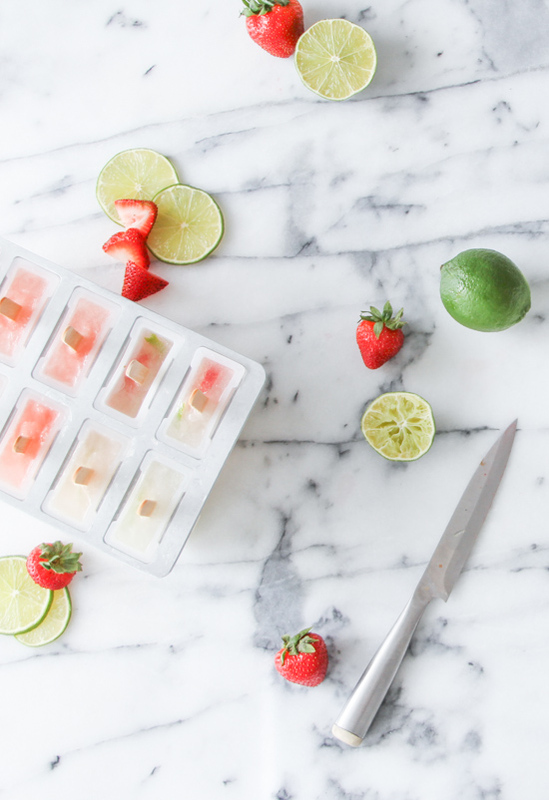 I’ll make these with the cheap-o “I don’t have a popsicle mold tray” with the tiny plastic cups! No matter what, it’s going to taste great! Totally Kiersten. Plastic cups are another great option for making these popsicles. These look fantastic – perfect for the warm weather! These sound amazingly delicious! It’s no longer summer here, but when December comes around you can bet that I will be making these! 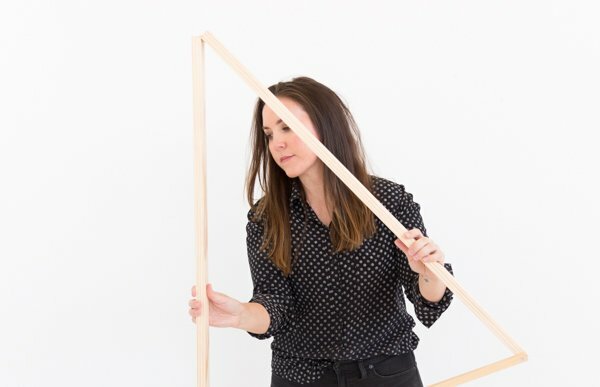 No kids allowed 😛 I love the photos by the way, and I’m super stunned by how you managed to photograph them without melted popsicles getting all over the place! What’s your secret? Hello there! These look amazing!! I cannot wait to try! Where did you find the lollipop sticks?!?! Those are adorable!!! THIS IS FANTASTIC! YES PLEASE I WLL DEF WANT TO MAKE THIS DURING SUMMER! THANK YOU FOR THE INSPIRATION! I love mojitos! I think I can keep some of these in my fridge for nice warms days.